Works of Justice is an online series that features content connected to the PEN America Prison and Justice Writing Program, reflecting on the relationship between writing and incarceration, and presenting challenging conversations about criminal justice in the United States. The Long Term from Sarah Ross on Vimeo. 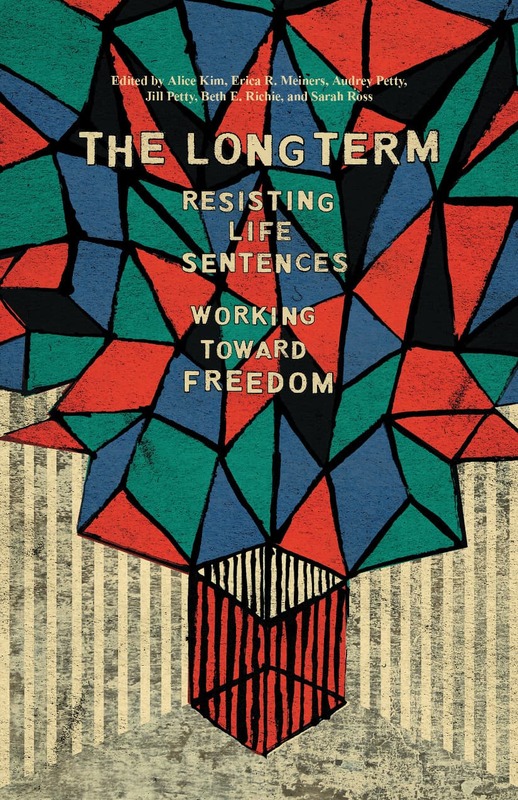 The Long Term: Resisting Life Sentences and Working Toward Freedom (Haymarket Press), is an anthology of critical essays, manifestos, poetry, and conversations that illuminate the struggle of people facing long-term sentences both inside and outside of prison. The collection is guided by a vision of abolitionist practices that reject institutional ideologies that further disrupt a community’s health and wellbeing. The contributors are artists, advocates, and scholars who explore the intricacies of targeted criminalization, the perpetuation of racialized norms, the grassroots organization of abolitionist work, and the endurance required for long-term survival in prison. The anthology’s strength lies in the fresh perspectives it offers. In an essay by Victoria Law, “Against Carceral Feminism,” readers will find a polemical consideration of how policy such as the Violence Against Women Act (VAWA) can be detrimental to the very group it aims to protect. Carceral feminism, a movement advocated by mainstream feminism, “ignores the ways in which race, gender identity, and immigration status can leave certain women more vulnerable to violence.” Law discusses the ways in which this kind of mainstream feminism redirects the emphasis from the funding of shelters, public housing, and welfare to criminalized responses that fail to address social and economic inequities. For our Works of Justice series, we had the pleasure of interviewing Sarah Ross, an editor of the anthology and a cofounder of P+NAP (Prison + Neighborhood Art Project), a program that connects teaching artists and scholars with incarcerated men at the Statesville Maximum Security Prison in Illinois. The 14-week term results in visual art projects and critical essays that are exhibited and read in community venues. Ross will join Mariame Kaba, Kathy Boudin, Victoria Law, Janos Marton, and other collaborators on The Long Term: Resisting Life Sentences Working Toward Freedom (Haymarket Press) in reading and discussing the narratives of people surviving the effects of long-term incarceration on March 27 at Housing Works Bookstore Cafe, as part of our Works of Justice event series. RSVP here. ROBLEDO: As a creator and facilitator, your work is deeply grounded in education and the humanities. Speaking from both positions, what do the visual arts and writing offer those serving long-term sentences? And how does the art created by people in prison affect those on the outside looking in? ROSS: From my discussions with people serving long prison sentences, art and writing are like a kite to the outside. Artists and writers in prison tell me (and my collaborators) that when their work circulates in outside communities it signals that they are still there, still alive. When we host exhibitions in Chicago communities and families and friends of those locked up come out, it is another point of connection. The connection is both between people inside and out but also the connection is between outside communities—mothers who carpool to the prison together, lovers who share a hotel room to reduce the costs of visiting a loved one, and people who have come out and remained family/friends. In this way, the exhibition is one site to build up community and support, in the presence of folks inside through their art and words. For people who don’t have loved ones inside, the art, we hope, educates through visual language. There are so many studies, books, reports, and more that tell us that long-term sentencing and the prison industrial complex don’t work, is harmful even. I don’t think we need more analysis of the system. We know it’s wrong. Art and writing are affective tools, using images and words to urge people to connect the research to real, lived lives. ROBLEDO: The book underscores the ways in which “carceral feminism” encourages long-term sentences to “protect women and children” by promoting increased policing and imprisonment as a way to solve violence against women. Yet these measures neglect the systemic circumstances that led someone down that path to begin with. Can you define carceral feminism—a term many readers may not be familiar with—and what you see as the role of abolitionist feminism in issues of mass incarceration and social justice? ROSS: Carceral feminism is a framework that sees solutions to violence against women in policing and punishment. Policing and prisons have not reduced violence against women and in fact have swept up survivors of violence, particularly black and brown women, into the prison system. So the call here is for feminists to enact about solutions that don’t build up a carceral system. It means thinking about the very systems that abolition calls for: funding and support for schools, mental health, free health care, affordable housing, equal pay for women, and other resources that we know would actually reduce or end violence against women. We need systems that support women to have options and to be safe, and systems that support men to unpack their own issues that oppress women. As we were editing this book we thought a lot about our own positions, as we all teach at a prison for men, and we asked why we spend so much of our time working with men? We felt that if we work toward ending life and long sentences it would necessarily mean working to end violence. If we can enact an abolitionist feminism in a classroom full of men, this might be a start. ROBLEDO: Your interview with Larry Brent’s family for The Long Term: Resisting Life Sentences, Working Toward Freedom was moving and enlightening. Tell us about the process of conducting the interview. What led you to include it in the anthology? ROSS: I met Larry when he was in prison. He is a good artist and we talked about art making, and more. I then met his sister, Elizabeth, and their parents when they came to Urbana, IL, to visit the university there. Elizabeth was enrolling into the art department where my partner teaches. At that time, I learned that Larry’s family were all artists! Larry got transferred to another prison, and in IL if you volunteer at a prison (as I do to teach), you can’t write or call people. So, I lost connection with Larry but stayed in touch with Elizabeth. She graduated from school and moved to Chicago, and I moved later as well, and we connected to talk about art, teaching, and of course, Larry. When we sketched out what we wanted the book to cover I thought about Elizabeth because she was so young when Larry went to prison. She’s like many siblings who have a sister or brother locked up, who craft intimate, familial relationships over long prison sentences and in challenging conditions. I felt it was important for this book to reflect that these relationships are actually very ordinary in the United States—for instance we know that there are some six million kids impacted by parental incarceration, and I’m not sure of the number of siblings impacted. But also, these relationships are extraordinary, in that the work, care, patience, and dedication needed to maintain connection is done against the odds of a prison system that makes it awkward, expensive, and impersonal to visit family and friends. I think we need to hear more of these stories and I also was interested in how art was a connection for Larry and his family. And it still is. There is a silver lining here: Larry is OUT! He got out of prison on Dec 7, 2018, after 25 years inside. He and Elizabeth work together on a business they started called Brent Art. ROBLEDO: Art and visual language can help illuminate and promote a more sympathetic emotional effect in those that are disconnected from issues of incarceration. How do you see your role as a collaborator, and what are the ethics around working with incarcerated artists? ROSS: I think art can also inform and this is how we often start collaborations with artists in prison. For instance, alongside the book, myself, Damon Locks, and 13 artists in prison worked for a year to develop a series of works on paper and a hand-drawn animation about long-term sentencing and the other long terms it produces. We started with reading studies, stories, and mapping out the historical and current threads of sentencing policy. Damon and I have formal art training. So we bring those skills to the space. Devon, Elton, and Charles have informal art training and they bring those skills. Joe, Darrell, and Eric have mad legal skills and Brandon, Fly, and Francisco all had stories to share. In this way we start the collaboration with what we have in the room and where we can learn from each other and we build from there. We also think critically about what we are communicating to outside audiences and who those audiences are. I think the ethics of working with artists inside are challenging. For me they require a constant checking in, even when the artists really trust Damon and me because we’ve been working with these same people for five and eight years. But it’s critical, for me, to not make any assumptions about where and how artists want their work shown, how they want to be represented. It means really taking the time to describe the contexts outside of the prison, be transparent about our capacities and limits and more. There is nothing even about working with people in prison because of the limits that prison puts on people to have an outside voice or access materials, research, or media outside the walls. So we have to start with that this is uneven and be deliberate about how we share work and communicate. ROBLEDO: If you had to pick three works of art that depict your idea of justice, what would they be? ROSS: That’s too hard! I really love the work of Center for Urban Pedagogy that offered important information about policy and more through engaging forms. I love the beauty in the work of Margaret Burroughs, who I think about a lot because she taught art at Stateville and Pontiac prisons for some 25 years. I never met her but she left a big mark on the artists she met inside. I am also deeply moved by the National Museum of Peace and Justice. I have studied that place (but not yet visited ☹) as I have been part of the memorial process for Reparations to police torture survivors in Chicago. These projects are public and rooted in both a critical framework and also reparative gesture.